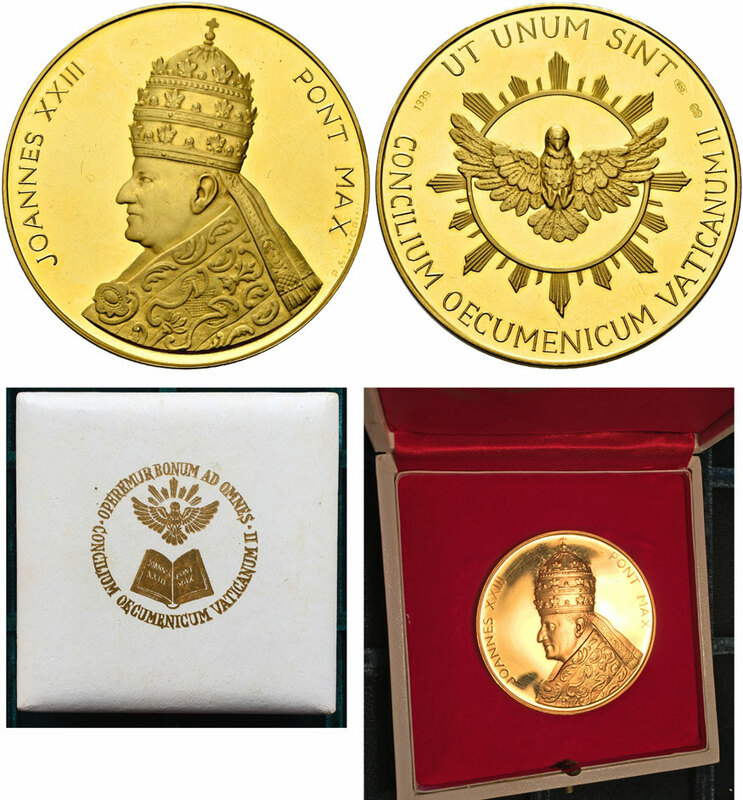 Large gold medal--50mm in diameter--marking the Second Ecumenical Council of the Vatican. Gold 900/1000 fine, weighing 70.0 grams. Beautiful condition with proof surfaces and includes original plush case.